The evidence on the association between baseline vitamin D status and risk of incident hypertension in general populations is limited and has not been reliably quantified. We conducted a systematic review and meta-analysis of published prospective studies evaluating the associations of baseline vitamin D status (circulating 25-hydroxyvitamin D [25(OH)D] levels and dietary vitamin D intake) with risk of hypertension. Eligible studies were identified in a literature search of MEDLINE, EMBASE, and Web of Science up to November 2012. Pooled relative risks (RRs) with 95 % confidence intervals were calculated using random effects models. Generalized least-squares trend estimation was used to assess dose–response relationships. Of the 2,432 articles reviewed for eligibility, eight unique prospective cohorts with aggregate data on 283,537 non-overlapping participants and 55,816 incident hypertension cases were included. The RRs (95 % CIs) for hypertension in a comparison of extreme thirds of baseline levels of vitamin D were 0.70 (0.58, 0.86) for seven studies that measured blood 25(OH) D levels and 1.00 (0.95, 1.05) for four studies that assessed dietary vitamin D intake. The pooled RR of incident hypertension per 10 ng/mL increment in baseline 25(OH)D levels was 0.88 (0.81, 0.97) in dose–response analysis. Evidence was lacking of heterogeneity among studies that measured blood 25(OH) D levels and those that assessed dietary vitamin D status. Studies are needed to determine whether the association of vitamin D with hypertension represents a causal association and also to determine whether vitamin D therapy may be beneficial in the prevention or the treatment of hypertension. The online version of this article (doi: 10.1007/s10654-013-9790-2) contains supplementary material, which is available to authorized users. All studies were prospective (cohort or “nested case control”) population-based studies evaluating baseline vitamin D status (blood levels of 25-hydroxyvitamin D or dietary intake of vitamin D) and risk of incident hypertension. Studies were included and excluded as per criteria outlined above. Study selection and extraction were conducted by T.A.A. and M.S.. Disagreements were discussed and agreements reached by consensus with SKK. We extracted fully adjusted estimates for all studies. Relevant studies, published before November 30, 2012 (date last searched), were identified through electronic searches not limited to the English language using MEDLINE, EMBASE, and the Science Citation Index databases. Electronic searches were supplemented by scanning reference lists of articles identified for all relevant studies (including review articles), and by hand searching of relevant journals. The computer-based searches combined search terms related to vitamin D and hypertension without language restrictions. MEDLINE strategy to identify relevant exposures: (“Vitamin D”[Mesh] OR “vitamin d”[All Fields] “25-hydroxyvitamin D”[Mesh] OR “25(OH)D”[Mesh] OR “25-hydroxycholecalciferol”[Mesh] OR “calcifediol”[Mesh] OR “calcidiol”[Mesh]). Parts 1, 2 and 3 were combined using ‘AND’ to search MEDLINE. Each part was specifically translated for searching alternative databases. Wells GA, Shea B, O’Connell D, Peterson J, Welch V, Losos M et al. The Newcastle-Ottawa Scale (NOS) for assessing the quality of nonrandomised studies in meta-analyses. 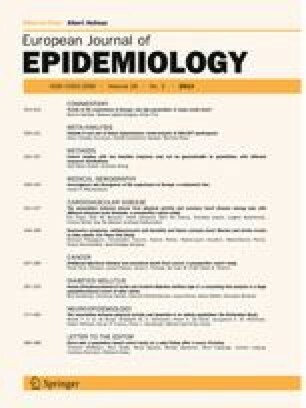 2011. http://www.ohri.ca/programs/clinical_epidemiology/oxford.asp Accessed 20 Aug 2012.